The 4011A Cardioid Microphone from DPA is designed for capturing vocals, close miking instruments, amplifier cabinets, and other sources in live sound reinforcement and crucial recording applications. It features a cardioid condenser element for minimizing off-axis noise in spot-miking applications and an output stage that provides faithful recreations of the original source material. A switchable 20 dB pad provides added headroom and minimizes distortion while capturing transient signals. 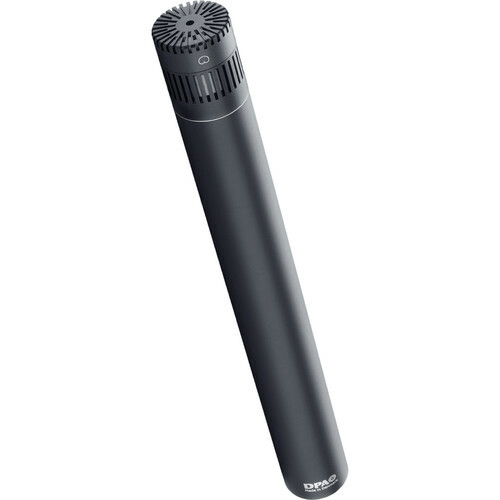 Additionally, the microphone allows you to maintain a linear tonal response when closely positioning it near speaker cabinets, percussion, and other instruments. Box Dimensions (LxWxH) 10.7 x 6.1 x 2.9"